From the most renowned region of Chile - the Maipo Valley, Viña Tarapacá was founded in 1874. Planted with the cèpage from Bordeaux and Burgundy in the ideal soil of this vine – growing region. 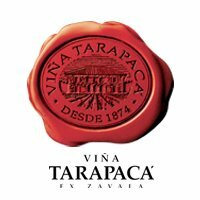 For more than a century, Viña Tarapacá has made it Chile\'s most prestigious name for their excellence with impeccable style.